Essential guide to the largest commercial hub in Southeast Asia; eBay Singapore (SG) in English — and alternative, equivalent versions of eBay in 2018. This is a guide to the English version of eBay in Singapore and it’s alternative — Lazada; the leading shopping & buyer/seller portal. 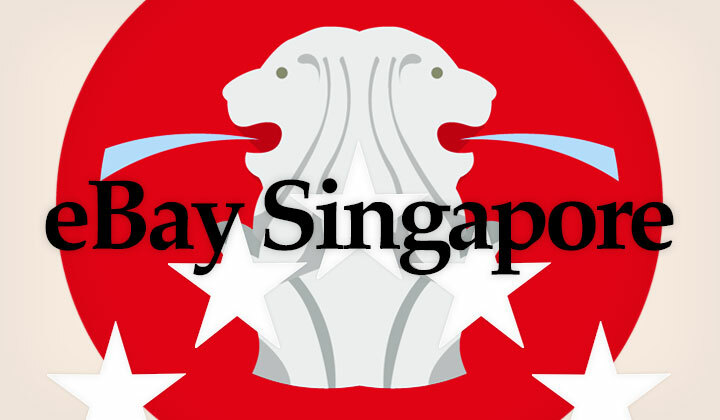 Singapore based eBay.com.sg — is an English version of eBay’s global marketplace between consumers and businesses. The website is used by international and local sellers to increase their sales in the country. However it is common for buyers located in Singapore to also use ebay.com for searching products from abroad. This is why those with actual product stock in Singapore are able to benefit from the localized service the most. The island city-state of Singapore; situated on the southern tip of the Malaysian peninsula is the strategic location of eBay’s “APAC HQ” — Asia Pacific headquarters. The multinational e-commerce corporation opened it’s office in 2004 at the city’s central business district. It’s seller to seller and business portal website ebay.com.sg was launched much earlier in October of 2001. eBay itself; “The World’s Online Marketplace™” was founded as early as 1995. The location carries out important functions within the Asia market; including business and product development, as well as human, legal resources and other financial operations. With the largest number of expats amongst all Southeast Asian countries; facilitating jobs has been relatively easy — with Singapore’s low taxes, excellent public services, high safety and a popular work-play atmosphere. Lazada; the leading shopping and buyer-seller portal in Singapore and best eBay alternative on the nations ever-expanding e-commerce market. Launched in 2014 to to bring effortless English language shopping to Singapore’s 6 million and counting, customer base and an easy to use end-to-end selling solution for growing businesses — just submit business registration details, go through free training to activate your seller account and list your products to start selling! Lazada’s own range of products is impressive and covers major brands as well as original products only available through their online doors. They also have a mobile app; very popular due to high smart phone use in Singapore for online shopping. Popular categories are; Computers, Video, Cleaning, Games, Tablets, Bedding, Bathing, Gaming, Stationery, Pet Supplies, Beauty, Laptops, Toys, TVs, Dining, Motors, Watches, Books, Audio, Outdoors, Home Appliances, Laundry, Sports, Tools, Music, Babies, Health, Bags, Kitchen, Cameras, Mothers, Décor, Wearables, Jewellery, Digital Goods, Crafts, Groceries, Mobiles, Travel, Furniture & Fashion. The two most preferred payment methods on Lazada Singapore are ePAYMENT (by credit card or online bank transfer payment) and COD (cash on demand). Both eBay Singapore’s English version and it’s equivalent Lazada in Singapore are the best combination for English language shopping and selling in the country. Please, leave a comment in the field below! Quick notice: Some of the posts within kachi.jp may contain affiliate links and result in commission paid to the author of the blog. Any such transactions are stored in your browser cookies and it is completely voluntary to keep them before making any purchases on third-party websites. You have my huge thanks for your voluntary support. And my even bigger thanks for having a read. If you found this helpful — please share on social media! — Tim.